Reisling and shine! If you love vino but can’t tell a Chianti from a Chardonnay, a wine tasting class is definitely for you. Learn how to sip, slurp, and spit like the pros in this wonderful wine tasting experience. Cheap plonk is certainly off the menu; instead you’ll be treated to a delicious range of wines along with expert tuition. You’ll discover where your palate is and what ‘on the nose’ really means, and by the end you’ll be quaffing like an expert. Afterwards, get the guys and girls round to show off your new-found talents – you’ll certainly be the talk of the grapevine. Stop to smell the rosè and get your taste buds going in this full-bodied wine tasting experience, in which you’ll become the connoisseur and learn how to appreciate the fruits of the vine. A treat for wine-lovers everywhere, never grapple with the grapes again as you master your palate and learn how to sniff out a great wine. After this fun-filled experience you’ll certainly be left feeling bubbly – but be warned, you might never settle for Tesco’s best ever again. Go on, wine not? Get to grips with the grape and try out various wines in this range of wine tasting classes. You’ll learn the basics of wine production and understand what goes into making this great tipple with lively discussions and tuition from friendly, knowledgeable experts. On arrival you will meet your wine specialist and tutor. Then it’s time to get down to business. 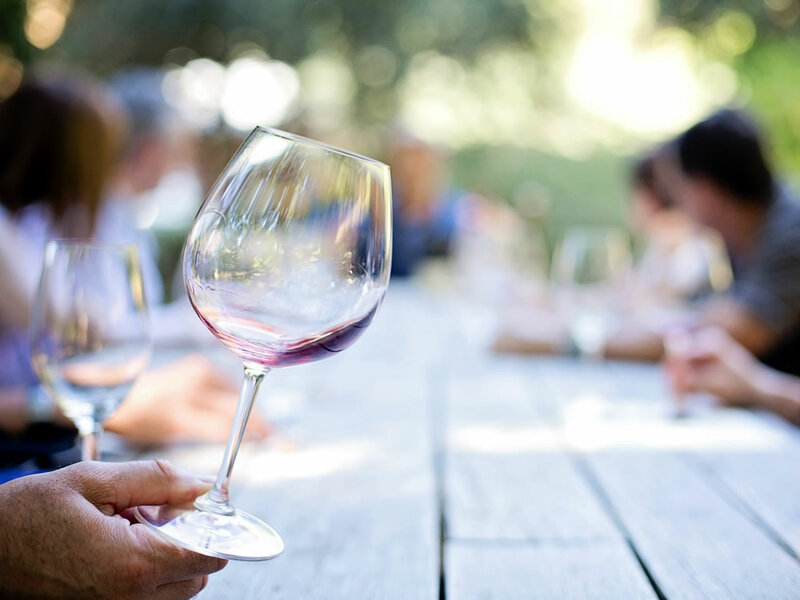 Your wine specialist will demonstrate the correct method to smell and taste wine, teaching you how to identify quality wines and differentiate between varieties by using your key senses. You will sample a number of wines from a specific region or from around the world and learn about each one throughout your wine tasting class, such as how they are produced and the special characteristics of each. Specific experiences also include tuition on matching wines to food. Longer sessions such as those throughout a day or during an evening will often include lunch, dinner or afternoon tea. Some wine tasting experience days even include tours of a British vineyard as well as the winery where the grapes are transformed into sumptuous wine. Follow the trail from the grapes growing through to pressing and bottling. WHEN: The experience varies and may take place during an evening, over the course of a day, or as a short lesson on selected days year-round. Dates may be limited with some sessions taking place on specific days in the week. WHERE: Events take place at venues throughout the UK. Vineyard tours typically take place in the South East. WHO: If you love wine but lack the skills to pair bottles of plonk with your favourite meals, or you wish you could understand wine and its lingo, head on an easy-to-follow lesson. OCCASIONS: Wine tasting rarely needs an excuse, but should you need one, a birthday or Christmas is a good choice. Vineyard tours are great to tag onto a short break. There's almost as many experiences to choose between as there are varieties of grapes and wine. Save yourself the headache and consider these highlights. Cheese and wine are best friends as you'll discover at one of three Dionysius locations in London. Sample five fine Italian wines which have been paired with a selection of cheeses. Enjoy a relaxed evening learning about wine from the masters at venues in London, Newcastle, Sheffield, Bath, Manchester, Nottingham, Cardiff, and Belfast. Wine makers and tasting experts will be on hand to answer questions and offer guidance. You'll sample a selection of wines from across the globe while learning the tales behind the bottles. You already know cheese and wine are best friends, so why not pair a wine tasting experience with a cheese making experience? This two-in-one activity takes place at Denbies Vineyard near Dorking, Surrey, where, at Norbury Blue, you'll help make cheese. You'll learn about the steps involved in this hands-on activity. At Denbies, you'll enjoy a three-course lunch before spending the afternoon sampling a selection of estate wines under the guidance of an in-house expert. You'll also get to help at the winery. Hi, I'm David. I love finding unique gift ideas, so decided to blog about the best ones here. You won't find junk or tacky products here - I'm only interested in proper presents worth giving (and receiving). Prices are supplied by retailers, are regularly updated, and are displayed purely as a guide. Check current prices at each retailer, along with any applicable terms and conditions. Delivery costs, surcharges, and optional extras may also apply. © Proper Presents 2019 onwards. All rights reserved. E&OE. Product prices, names, and descriptions are for reference purposes only. All trademarks and registered trademarks are the property of their respective owners. Proper Presents is an affiliate and may receive commission on purchases made using hyperlinks marked with a °.